NYPD Sgt. Conor McDonald, second from right in top photo, addresses the audience during a panel discussion, “Gun Violence and the Police: A New York Perspective,” at the Sheen Center in Lower Manhattan last October. Joining McDonald were former NYPD Commissioner Ray Kelly, right, and McDonald’s parents, Patti Ann McDonald and NYPD Det. Steven McDonald. William Spencer Reilly, left, executive director of the Sheen Center, is seen with Mel Gibson. Theater is the lingua franca of New York City and the Catholic Church has used art in myriad forms through the centuries to spread the message of the Gospels. It was not until 2015 that the Archdiocese of New York jumped into a bold effort to evangelize through the theatrical medium. It repurposed one of its many decommissioned schools as the Archbishop Fulton J. Sheen Center for Thought and Culture. From the outside, the unassuming building on Bleecker Street in Lower Manhattan still looks a lot like it did when it educated generations of Italian-American children as Our Lady of Loreto School. Inside, two theaters, a gallery and rehearsal space host plays, movies, lectures, discussions and art. Each program is selected to serve the center’s mission to highlight the true, the good and the beautiful. Plays and lectures “get people inside the tent,” where he hopes they will be surprised, excited and engaged by what they discover, Reilly said. The target audience is millennials, many of whom live in the gentrified neighborhood. “We can dig deep and unpack complex issues” with people living in “a sound bite universe where little thought is given to big issues,” he said. “Film is the best way to do it. It’s a genre 20-somethings know well and they’re celebrity-driven,” Reilly said. When the audience comes to an advance screening of a Hollywood film and has the opportunity to interact with someone like recent guest Mel Gibson, they may be “pleasantly surprised when the conversation steers into dialogue about a message they may not have considered,” he said. For the Year of Mercy, some of the center’s offerings looked at forms of forgiveness. A panel on gun violence and police response in October included now-deceased New York Police Detective Steven McDonald; his wife, Patti; their son, Conor, a NYPD sergeant; and former police commissioner Raymond Kelly. Students from Catholic high schools were invited to hear the quadriplegic detective, who died after a heart attack in January, tell how he forgave the young man who shot him 30 years ago. This spring’s “War is Hell” series in the center’s small basement “black box” theatre examined the theme through five Shakespearean and contemporary plays. “Hamlet” was to continue through June 3. “Death Comes from the War Poets” was set to run June 9-24. “Our programming comes down to the three classical components of the true, the good and the beautiful. Where the true and the good are so hotly debated, the beautiful gives us an opportunity for dialogue and diffuses the argumentative state of affairs,” said David DiCerto, director of program administration. The programs “can explore the darkness of the human condition,” but they should reflect St John Paul II’s observation that when a spark of goodness is present, a glow of beauty pervades the whole work, DiCerto said. The center is a nonprofit organization with a $3 million annual budget. Approximately 60 percent comes from renting space to other groups whose productions pass the center’s litmus test. The goal over the next five years is to raise funds from outside sources to help the center become self-sufficient, Reilly said. “We’re not simply an art center that happens to be owned by the archdiocese. We’re a project of the archdiocese and part of its larger mission,” DiCerto said. The theater concept was suggested to the late Cardinal Edward Egan by a priest who uncovered the long-quiet stage when the building was being used as a homeless shelter, Reilly said. Cardinal Dolan embraced the idea and dedicated the center in September 2015. 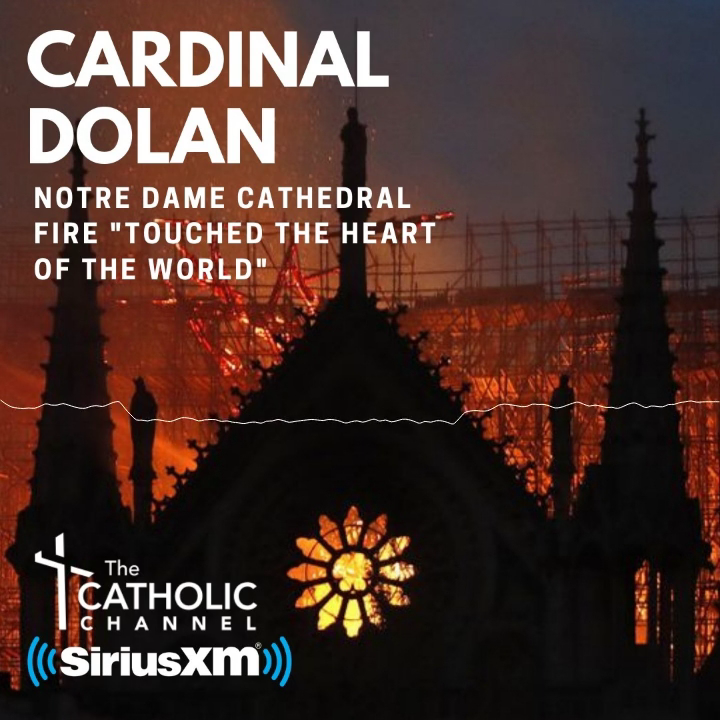 The name honors the memory of Archbishop Sheen, the Emmy Award-winning radio and television personality whose programs in the 1950s and 1960s drew as many as 30 million viewers each week. The charismatic and engaging archbishop addressed a mostly non-Catholic audience and is widely considered the model for televangelists of later generations. Pope Benedict XVI granted him the title “Venerable” in 2012. While Reilly’s primary focus is to engage people from throughout the archdiocese, he is looking to draw on his extensive background in television and marketing to feed programs to viewers “beyond the four walls,” he said. The larger of the center’s two theaters seats only 274 people, but is equipped with five video cameras that can be used for simulcasts to Catholics gathered elsewhere, as well as recording events for distribution to Catholic and other television networks. “I’m not suggesting we’re going to reinvent the wheel entirely, but there are possibilities to form deals with secular channels” that “run for the hills if you talk about religion” but will consider a great human story, Reilly said.